A favorite for cakes, desserts, and candies, this clear, sweet, pale-yellow oil is pressed from either bitter or sweet almond kernels. Both flavor and consistency may depend on where the oil was made. In European countries, the oil comes from the “bitter almond,” which is similar to a peach pit. When the bitter substance in the oil has been removed, the oil is then used to make candy. Almond oil from France, “huile d’amande,” has a delicate flavor and smells like toasted almonds. It is also expensive. Oil produced in the United States is considered less pleasing by serious cooks, but it is more moderately priced. Almond oil becomes rancid quickly and must be refrigerated. When using synthetic almond flavoring in recipes, be aware that it often is not made from almonds (instead peach pits may be used) and may have a bitter taste. Almond oil or flavoring is used in numerous desserts and sweets, including the famous German holiday specialty marzipan. 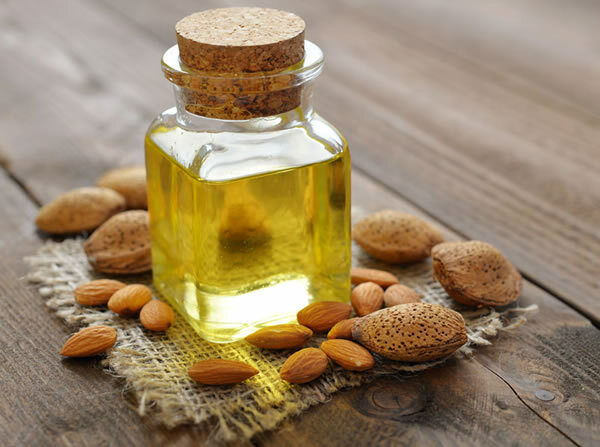 Almond oil may be used as a flavoring in dishes in which you would have used the nut itself. This pale-yellow oil has both a taste and an aroma that reflect where it came from — it is extracted from the tiny grape seed. Often, these seeds are left over after wine making. 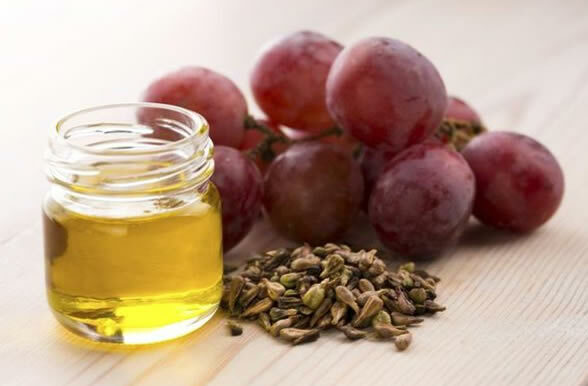 Grape-seed oil is produced mostly in France, Italy, and Switzerland, but it is easily found in the United States in both grocery and specialty stores. It is low in saturated fat and contains mostly polyunsaturated fat. Although light in consistency and color, grape-seed oil can have a relatively strong and distinctive taste. Grape-seed oil’s high smoke point (445° Fahrenheit) makes it a good all-purpose oil for deep-frying. It can be used to gently sauté foods. Grape-seed oil does not become rancid quickly and can be stored at room temperature. Grape-seed oil’s distinctive flavor makes it a good candidate to serve cold. It is excellent as a salad dressing. A simple but elegant way to make use of it is as a dip for bread. Cut a baguette of French bread into cubes and serve them with a small bowl of grape-seed oil. This delicious oil tastes like the nut it was pressed from and has a rich, strong flavor. Most hazelnut oil is imported from France, but it is easily found in most food stores. One caution: it can be fairly expensive. Hazelnut oil contains mostly monounsaturated fat. Although it can be stored at room temperature, hazelnut oil lasts longer when kept refrigerated. Because it has a strong flavor, it is often combined with other, lighter oils. It also has a low smoke point, so it is not used for cooking. 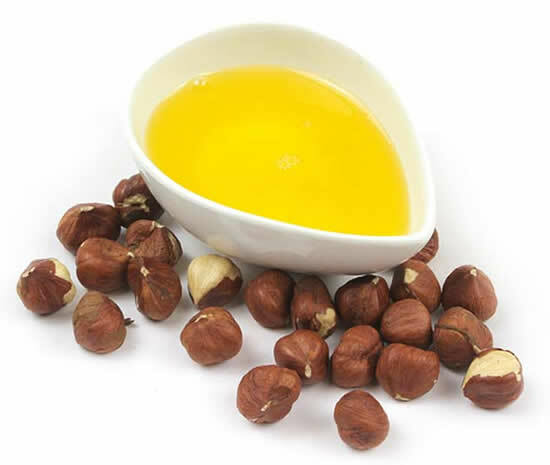 Hazelnut oil is excellent in salad dressing, drizzled over vegetables, and in cakes and pastries. It is also an unusual but pleasant addition to sauces. Extracted from the oily seeds of the sesame plant, sesame oil is a flavorful, nutty-tasting, and aromatic oil. Although all sesame oils are rich in flavor, taste and smell range in intensity. Lighter-colored oil is milder in flavor, and darker oil is made from toasted sesame seeds and has a more intense flavor. For serious cooks, darker oil is considered the most desirable. 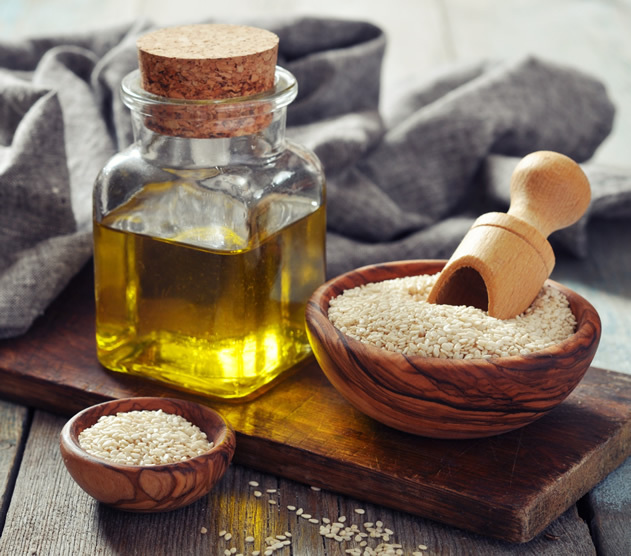 Sesame oil is widely used as an accent in Middle Eastern, Asian, and Indian cuisine. It is high in monounsaturated and polyunsaturated fat, and it is low in saturated fat. It is used mostly to accent flavor and aroma and is used less often for frying because it burns easily. or metal containers because it goes rancid more quickly in plastic. Sesame oil keeps for about a month in a cool place. Drizzle sesame oil lightly over dishes just after cooking. A small amount adds a distinct flavor and aroma. Oil pressed from walnuts has a strong, nutty flavor. It is also high in polyunsaturated fat and low in saturated fat. Although widely available, walnut oil remains expensive. Blander, cheaper versions can be found. Because of its intense flavor, walnut oil is often mixed with lighter oils. Walnut oil also has a low smoke point and will become rancid quickly if not refrigerated. Walnut oil is excellent as a salad dressing or drizzled over pasta or cooked vegetables. Like any nut oil, you can use walnut oil when the nut itself would be complementary.